Located in Norfolk County, Walpole, Massachusetts is an intimate town with a mix of suburban and rural areas. It is conveniently situated approximately 18 miles southwest of Boston and 25 miles northeast of Providence, Rhode Island. First settled in 1659, Walpole was originally a part of Dedham, Massachusetts until it was officially incorporated in 1724. It was named after Sir Robert Walpole, who was generally regarded as the first prime minister of Great Britain. Its growth began after the Revolutionary War and skyrocketed after the Industrial Revolution. Today, Walpole is home to approximately 24,000 residents, according to the 2010 U.S. Census. Walpole boasts an array of public and private educational opportunities. Walpole’s seven public schools include four elementary schools, two middle schools, and Walpole High School. In addition, the Walpole Public School Department operates the Daniel Feeney Preschool Center, which provides services to special needs and typically developing children between the ages of three and five years old. An alternative to Walpole High School for students interested in animal and marine science, plant and environmental science, and diesel and mechanical technology is Norfolk County Agricultural School, also located in Walpole. Private school options include Blessed Sacrament School, a co-educational Catholic school, and the League School of Greater Boston, which is a leading private day and residential school for students ages 3 to 22 diagnosed with autism spectrum disorder and Asperger’s syndrome. For Walpole students seeking higher education close to home, there are over 100 colleges and universities in the greater Boston area, including Dean College in nearby Franklin, Massachusetts. Walpole Public Library offers a full range of programs and services for both students and other members of the community. Walpole is governed by a board of selectmen. On an annual basis, Walpole voters gather for a town meeting where they vote on local legislation, known as by-laws. Voters also approve the town's proposed budgets. The town provides police and fire protection for its residents, as well as garbage, recycling, water, and sewer services. Walpole is the location of Massachusetts Correctional Institution – Cedar Junction, a maximum security prison for males. The prison was originally named "MCI — Walpole" until town residents successfully lobbied in the mid-1980s for the name change. In reality, only part of the facility actually lies in "South Walpole." The southwest part of the prison lies in the neighboring town of Norfolk, Massachusetts. The MBTA provides public transportation, via the commuter rail, from Walpole to Boston’s Back Bay Station and South Station. Walpole’s MBTA train station, which is on the Franklin Line, has more than 300 parking spaces for commuters. Walpole is about 35 minutes away from Logan International Airport and about 15 minutes from the Route 128 Amtrak Station in Westwood, facilitating travel all over the country. Besides it's close proximity to some of the world's best hospitals in Boston, Walpole is less than 15 minutes away from Norwood Hospital, which is located in the neighboring Town of Norwood, Massachusettts. Walpole is bordered by Dover to the north; Westwood, Canton and Norwood to the northeast; Sharon to the east; Foxborough to the south; and Norfolk and Medfield to the west. There are many stunning newly constructed homes in Walpole, along with farmhouses, smaller homes, and lakefront properties. Through the first six months of 2014, the median price of a single-family house in Walpole was $498,000. The least expensive sale was $140,000, and the most expensive home was $882,000, with most houses selling for between $350,000 and $700,000. Condominiums in Walpole, a more affordable alternative to single-family homes, sold for a median price of $312,250 from January through June 2014. Most condos in Walpole sold for between $250,000 to $450,000. 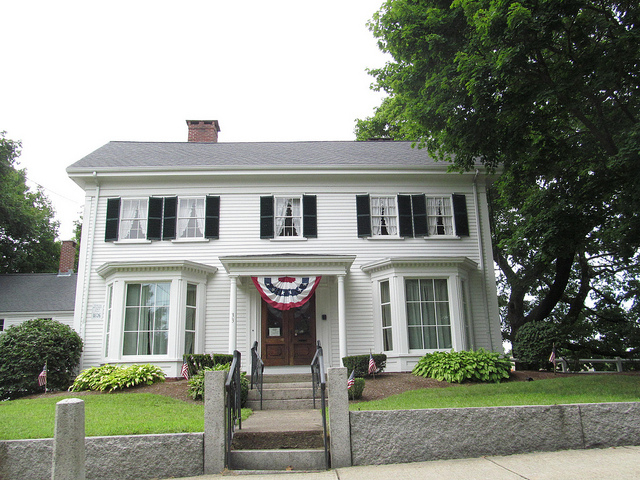 Walpole offers a small-town feel with plenty of open space and beautiful neighborhoods. The cozy feel of the town and its "mom and pop" stores make Walpole an attractive location to purchase real estate. Walpole is also close to commercial shopping centers such as the Wrentham Village Premium Outlets in Wrentham, Westgate Mall in Brockton, and Patriot Place in Foxborough. The largest outlet center in Massachusetts, the Wrentham Village Premium Outlets is home to 170 retailers ranging from mid-level to luxury. Patriot Place in Foxborough, right next to Gillette Stadium – arguably New England’s premier sports, entertainment, and event venue – offers a variety of shopping and dining options. Walpole’s proximity to Gillette Stadium makes it easy for residents to catch New England Patriots and New England Revolution games, as well as the biggest concerts in the state. For recreation, Walpole has a number of parks and athletic fields and a thriving sports scene for youth and older athletes alike. 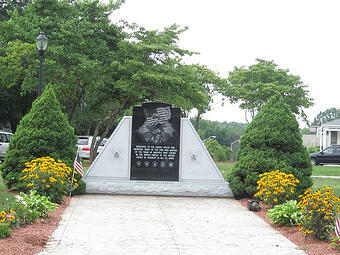 The most well-known park in Walpole is the Francis William Bird Park, a landscaped park consisting of 89 acres. The area is family-friendly and safe with over three miles of walking and biking paths and grassy play areas. The scenic park contains part of the Neponset River, as well as ornamental trees, flower beds, and old granite bridges. It also includes tennis and basketball courts, cross-country skiing areas, and a beautiful picnic spot to enjoy with family and friends. Local concerts and events are sometimes held on the bandstand inside the park. Among the many options for youth athletes are the Walpole Recreation Department, Walpole Little League Baseball, Walpole Swim Team, and youth sports leagues for basketball, football, softball, lacrosse, soccer, and hockey. The town also has a junior hockey team and six different sport offerings at Walpole High School.